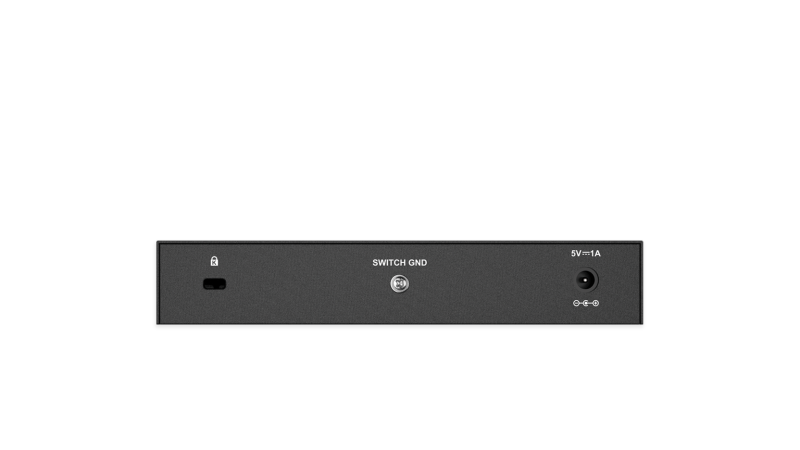 The 8-Port DGS-108 Gigabit Unmanaged Switch is ideally suited for Small Office Home Office (SOHO), Small Medium Business (SMB), and Small Medium Enterprise (SME) environments. 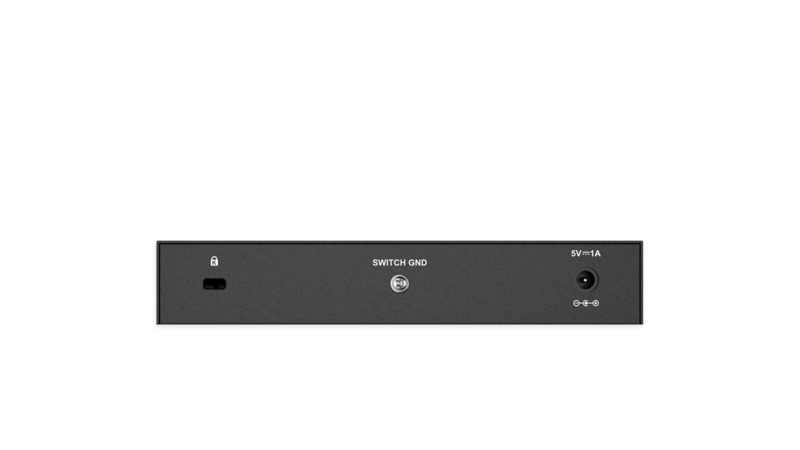 With a durable design, silent operation, and plug-and-play functionality, the DGS-108 switch can be easily set up and be placed in almost any location where network connectivity is required. Support for IEEE 802.3az Energy-Efficient Ethernet (EEE), Layer 2 Quality of Service (QoS), and Gigabit Ethernet connection speeds provide advanced features in a compact package. 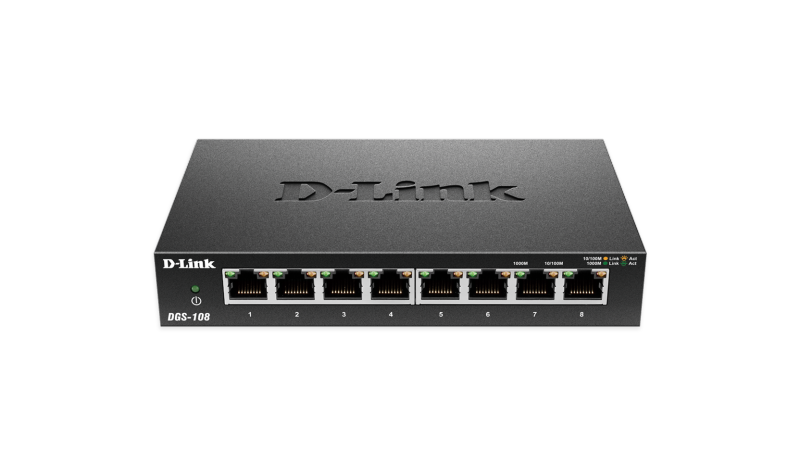 The DGS-108 switch uses auto-sensing 10/100/1000 Mbps ports, allowing a small workgroup to flexibly connect Ethernet, Fast Ethernet, and Gigabit devices to create an integrated network. 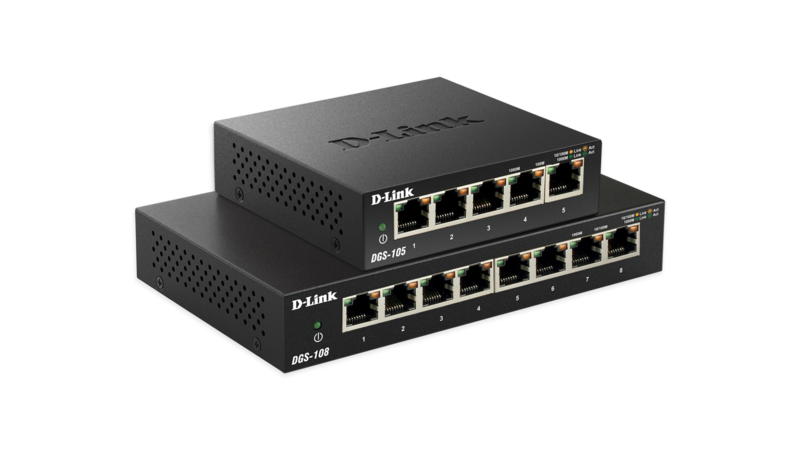 These ports detect the network speed and auto-negotiate between 10BASE-T and 100BASE-TX at full and half-duplex, and 1000BASE-TX at full duplex, allowing the maximum speeds possible for each device connected to the network. 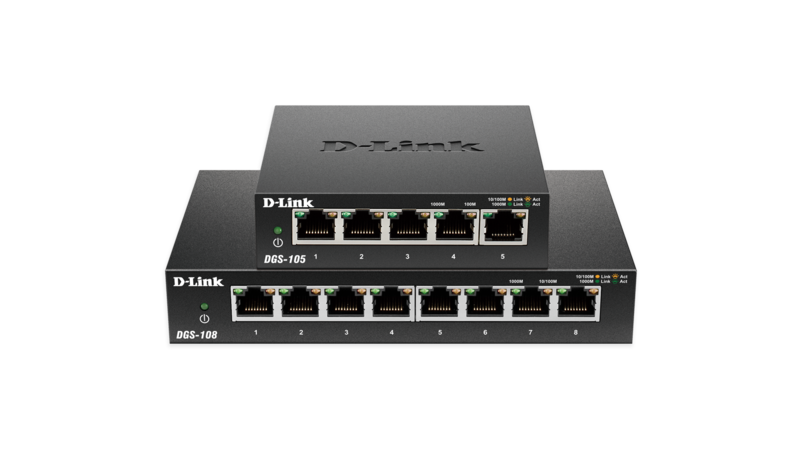 All of the ports on the DGS-108 switch supports automatic MDI/MDIX crossover, eliminating the need for crossover cables or uplink ports. 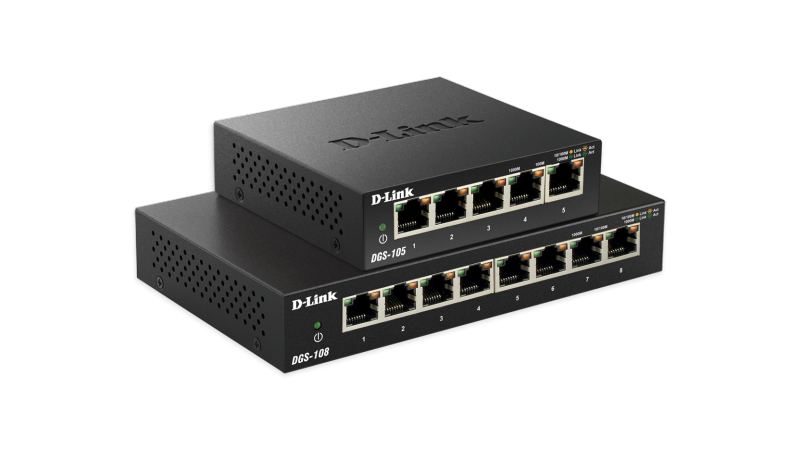 Each port can be plugged in directly to a server, hub, router, or switch using regular straight through twisted-pair Ethernet cables. 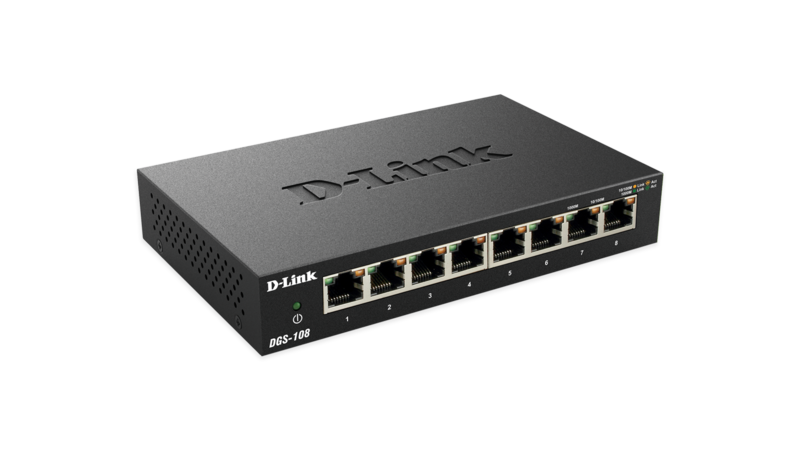 In addition, the DGS-108 switch features multiple front, easy-to-access Ethernet ports with two color LED indicators per port to easily distinguish link status. 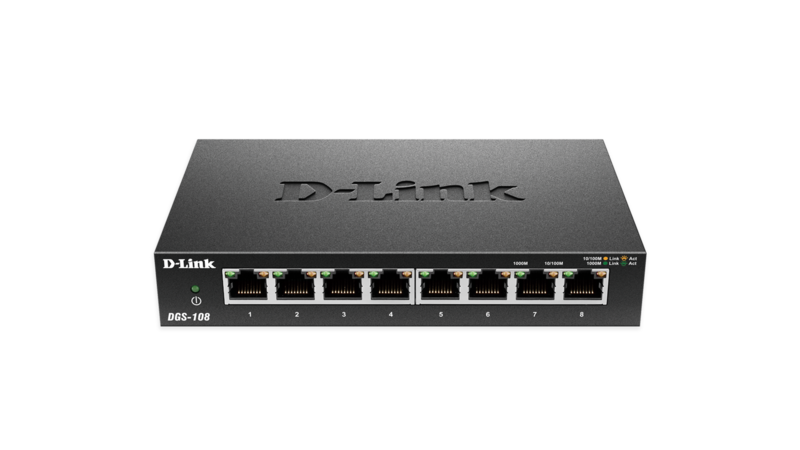 The DGS-108 switch features green technology, including IEEE 802.3az Energy-Efficient Ethernet (EEE), link status detection, and cable length detection. Energy-Efficient Ethernet reduces power consumption of the switch when network utilization is low, reducing the cost of ownership during periods of inactivity. Link status detection automatically powers down ports when there is no link detected, saving power when the connected device has been shut down or disconnected. Cable length detection automatically adjusts the power output of the port based on the length of the cable, reducing the power requirements of the switch to only what is necessary for the installation. 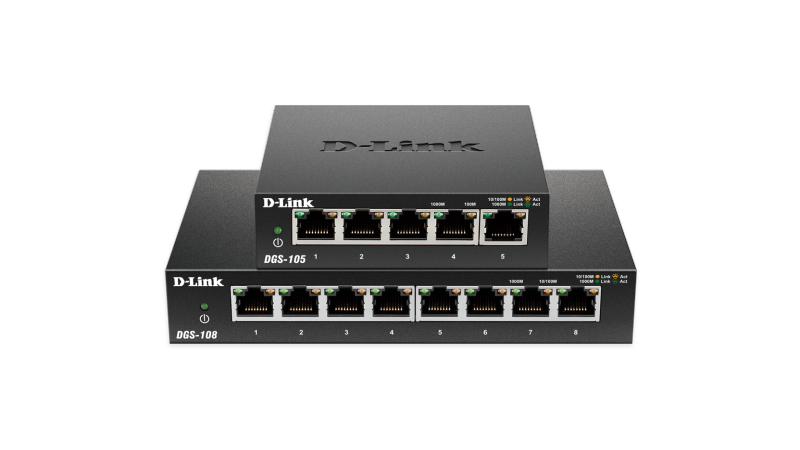 The DGS-108 switch includes traffic management features, such as IEEE 802.1p Quality of Service (QoS) and IEEE 802.3x Flow Control. The 802.1p QoS feature allows traffic to be classified in 8 priority levels, allowing different types of traffic to be prioritized, depending on their importance. Flow Control signals to clients when the switch’s input buffer is full, helping to minimize dropped packets and providing a more reliable connection for all connected devices.